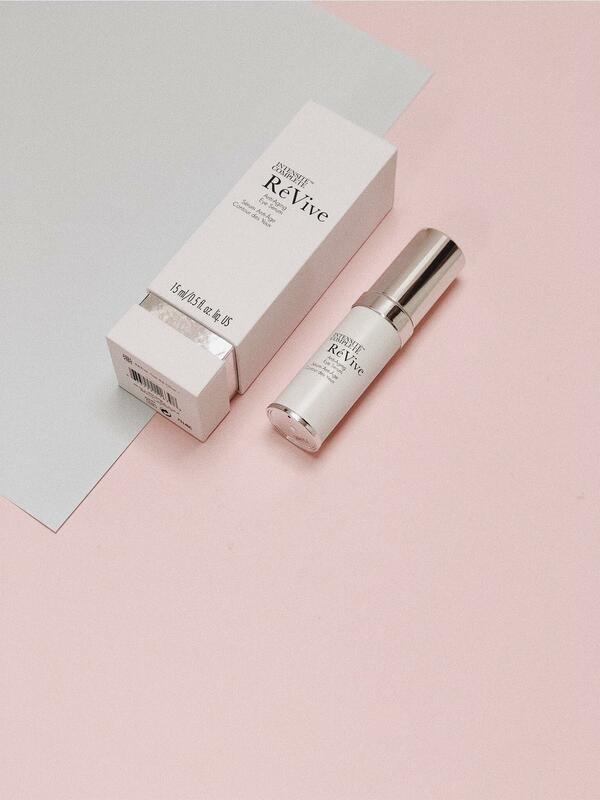 Revive is a very high tech skincare brand, with their products housing numerous complex technologies. 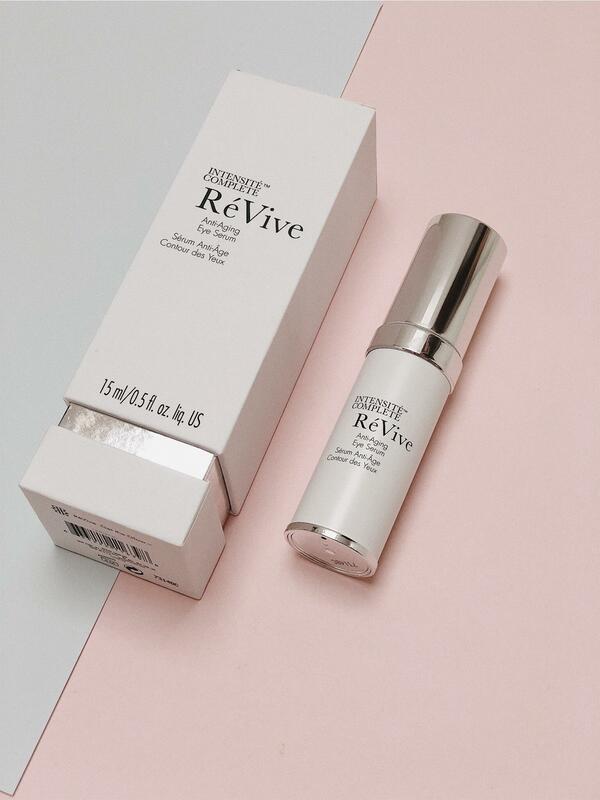 Revive produces luxury anti-ageing solutions that are created by a plastic surgeon. Revive utilises patented technology and bioengineered ingredients. Their newest release is a combination of their line erasing serum and volume range. Intensite complete is formulated to significantly soften the appearance of lines and wrinkles, whilst creating a smoother and more youthful appearance. This sounds like the absolute dream, hydrated and smooth under eyes, yes please. The Bio-Renewal Technology helps the skin act like it did when it was younger, softer and smoother, leaving the skin more radiant. Theres also a blend of peptides, including cone snail venom, which causes the skin to soften and relax. The peptides also help support the skin’s natural collagen, elastin and hyaluronic acid, to reduce wrinkles and fine lines. Kombucha black tea ferment diminishes the look of dark circles, under-eye bags and crepiness. This serum also has an iridescent finish to brighten and illuminate. The serum is designed to be used under an eye cream but can be used on its own also. I started to use this serum on its own but added in a separate eye cream for added hydration under my makeup and it works just as well, if not better. The price of Revive can make people run a mile but all of their products have been clinically proven and you are paying for results. I have also been trialling a mini of their Moisturising renewal cream SPF 15 and it makes my skin GLOW! With my first use of the eye serum I was pleasantly surprised with the texture and finish of the product, it is super light-weight was an iridescent finish which instantly brightens the under eye area. I have also discovered that one full pump of the product is far too much for both eyes and only half a pump would do just fine, meaning the bottle will last longer than expected. I have honestly seen a difference in how bright my under eyes are and they feel a lot more hydrated. For a few days I’ve been using this serum on its own and although I was seeing a difference I added in my usual Elemental Herbology eye cream over the top for added hydration under makeup. Expect to see this eye serum feature in many blog posts to come regarding my skincare routines, it’s a nice addition to my collection. Have you ever used anything from Revive? Do you want a more in-depth review of the brand?